This brush is the perfect size and texture to dry-brush the entire body, while still being gentle enough to caress delicate breasts. While most body brushes are made with course, rough bristles, the Body and Breast Brush is powerful yet gentle enough for all areas of the body. Over the years, we have tested a variety of brushes, and we have finally located the three best body brushes ever. The Facial Brush has soft bristles suitable for gentle brushing the face, neck, and décolleté. 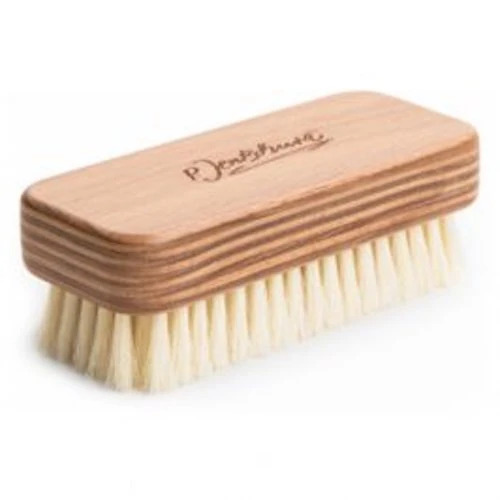 This body brush is made of Beech plywood and has very hard hair for the whole body with a firm skin. This body brush can be used dry and wet. – Hair of wild boar (Chunking). The Body and Breast Brush is the perfect size and texture to dry-brush the body and more delicate breasts. The natural bristles of this hairbrush are fine and strong which enables the brush to grip the hair and clean it smoothly and gently. Made for hair care and salon professionals. The Energy Brush has fine bronze bristles made of copper and zinc. Due to the molecular structure of the bristles they have a negative ion charge. When brushed on the skin, the negatively charged oxygen ions important for our material and energetic wellbeing are generated right on the skin. The Anti Cellulite Massage Brush is designed to activate your blood and lymphatic circulation, stimulate tissue drainage and decrease cellulite, improving its appearance. This natural nailbrush is especially suitable for caring for your hands and nails. It is a healthy habit to brush fingernails and toenails each day. Squeeze all of the benefits of dry-brushing by bathing or taking a sauna afterwards. For the perfect finish, apply the Best Skin Ever to lubricate every inch of skin. Your skin will glow with good health. Learn more about the technique and benefits of dry-brushing on my video. I’ve been trying to skin brush on and off for about 15 years. I always stop because the brush feels like nails on my skin. I bought the Body and Breast Brush and it’s wonderful! It feels good on my skin and I look forward to skin brushing every morning now! It’s the most relaxing feeling and a great way to start every day. The smell of the tonic…well, I wish I could smell like that all day! It’s uplifting and refreshing.